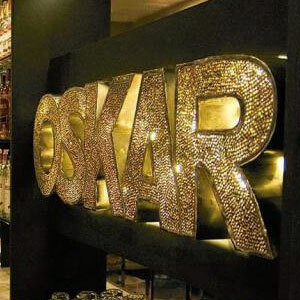 Located right next to Bed Supperclub, Oskar is the definitive late-night bistro, weather you’re feeling puckish or ravenous. What to order? Try the Oskar Salad, with Duck Leg Braised in Red Wine, Ham, Plum, Truffles, and Egg (THB 230++) or one of the wood oven pizzas, we recommend the Casablanca at (THB 325++) with minced Lamb Chop, Merguez Harrissa, Goat Cheese, and Moroccan Spices. There’s also a smattering of Asian recipes including Yam Woonsen, Veggie Springroll Maki, and Chicken Tom Kha. Just don’t forget to try the cocktails. There’s a large selection of martinis, long drinks, and Mojitos with the Chocolate Martini and Golden Thai standing out as unique orders. Go down Sukumvit Soi 11 from Sukumvit, it will be on your right side. Oskar Bistro is in a shop house next to Bed Supperclub.